Colorful rock music vector with many decorations. Face of a singing girl, retro microphone, guitars and various little drawings of stars, hearts and circles. Random paint drops for a grunge look. Free vector image for all concert poster, party invitation and wallpaper projects. 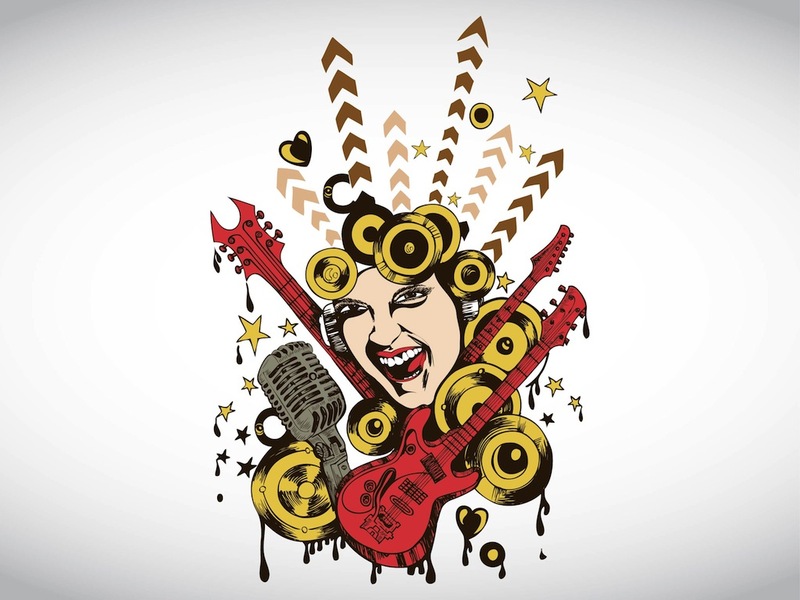 Free rock music vector design. Tags: Colorful, Decoration, Guitars, Hand Drawn, Poster, Rock Star, Sing.